Equipped with HDR10 support, AMD FreeSync, 4K Ultra HD resolution, and a quick 1ms response time speed, the BenQ EL2870U is aimed at console gamers and video home entertainment. However, due to its TN panel limitations in terms of color quality and viewing angles, we find that there are better alternatives for the money out there, and here’s why. 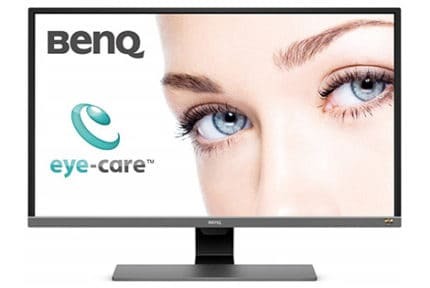 The BenQ EL2870U is a rather unique monitor as it offers HDR (High Dynamic Range) support yet it’s based on a TN panel with inferior colors to the other panel technologies. Covering just the basic sRGB color gamut with a peak luminance of mere 300-nits and a mediocre contrast ratio of 1,000:1, the HDR on this monitor is software-enabled only. This means that while the monitor can accept the HDR10 signal, it lacks display capabilities such as a wider color gamut and a higher peak brightness to actually enhance the viewing experience. You will get a slightly brighter image with oversaturated colors; in most games, the picture won’t be any better while some games may look only a bit improved. For a TN panel though, the picture is decent but any 4K IPS monitor will provide you with a better image quality overall – HDR or not. The main asset of the BenQ EL2870U 4K HDR10 monitor is actually its rapid 1ms response time speed which eliminates ghosting of fast-moving objects in video games and movies. In first-person shooters and racing games, in particular, you will be able to enjoy the smooth performance with minimal motion blur. Furthermore, the BenQ EL2870U input lag amounts to ~11ms which is quick enough even for professional gamers. 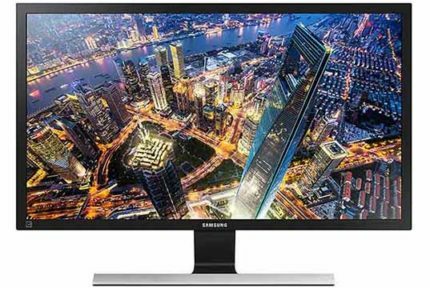 The display is also flicker-free and has four different low blue light levels (Multimedia, Web-surfing, Office, Reading) which guarantee no eye fatigue even after long playing or working hours. AMD FreeSync technology can synchronize the refresh rate of the BenQ EL2870U display to the frame rate of a compatible device (Xbox One or AMD FreeSync graphics card). This will eliminate screen tearing and stuttering as long as your FPS (Frames Per Second) rate is within 40-60Hz/FPS. Once your FPS rate dips below 40, FreeSync won’t work as the monitor doesn’t support LFC. Just like the BenQ EW3270U, the EL2870U offers the Brightness Intelligence Plus technology consisting of integrated sensors that automatically adjust screen brightness and color temperature according to the ambient lighting (click on the image above for a demonstration). Clicking the monitor’s ‘HDR’ hotkey simultaneously enables both HDR and the B.I+ technology with four different modes available to choose from. 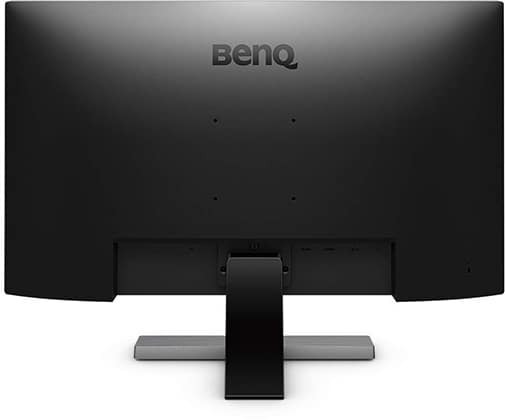 In addition, the BenQ EL2870U FreeSync monitor supports HDCP 2.2 which allows you to stream from Amazon Video, Netflix, and other streaming services in native 4K Ultra HD resolution. In the OSD (On-Screen Display) menu, you will find the standard contrast, brightness, sharpness, gamma, color temperature, hue, and saturation settings. You can also adjust the sensitivity of the sensors and the speed of the response time (AMA – Advanced Motion Acceleration option). There are several picture modes available as well including Standard, HDR, Cinema HDR, Game, Photo, sRGB, Rec709, ECO, M-Book, etc. You can emulate HDR for non-HDR content too. The BenQ EL2870U connectivity consists of two HDMI 2.0 ports, a DisplayPort 1.4, a headphones jack, and two 2W built-in speakers. FreeSync works over both the HDMI and the DisplayPort connectors. Moving on, the stand offers only tilt adjustment but it can also be detached; if you wish to mount the monitor on a dedicated stand or the wall, you can use the 100x100mm VESA mount pattern. 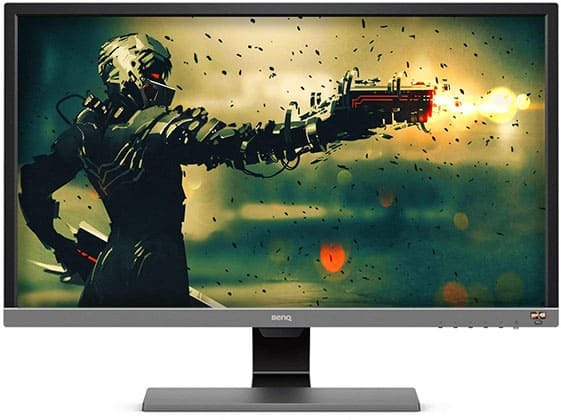 The BenQ EL2870U price is around $500 which we find too expensive for a 4K TN monitor. For competitive gaming, you can get the ASUS VP28UQG which is also a 4K monitor with a 1ms response time speed and FreeSync over HDMI available for up to $150 less. If you want a better image quality, the LG 27UD58 is an even cheaper 4K monitor with an IPS panel which even though it lacks HDR, offers a better picture than the EL2870U or the VP28UQG. In case you are looking for a 4K HDR monitor for Xbox One X and PS4 Pro, check out our dedicated guide. All in all, the BenQ EL2870U offers a good image quality for a TN panel display with an excellent performance and some exclusive features. However, there are better alternatives out there for less money. 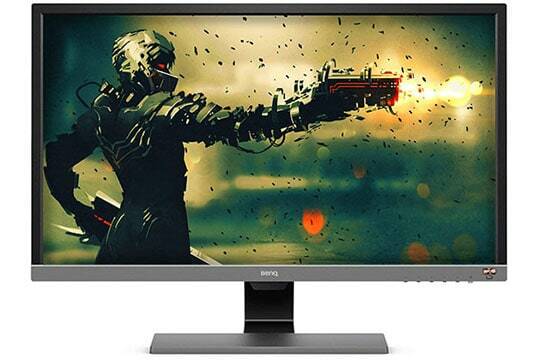 The BenQ EL2870U is an excellent 4K monitor for console gaming and home entertainment. 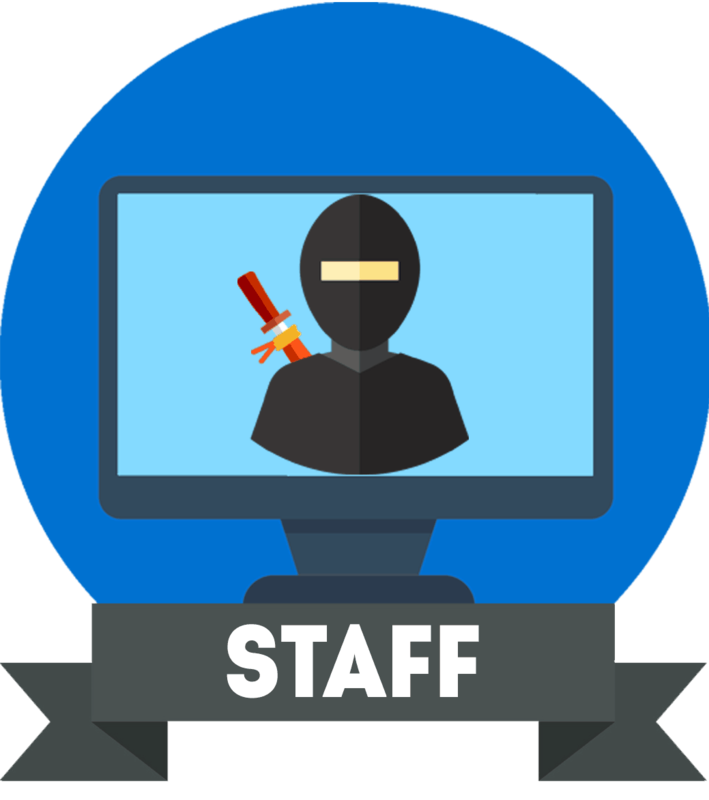 However, there are cheaper alternatives if you want an equally good or even better monitor for gaming or for watching movies, office work, etc.